If you want to find a great surgeon, start with your primary care provider or the provider who told you that surgery is recommended. They may be able to help you find a great surgeon, particularly if they are the one telling you that you are in need of surgery. Be sure to ask, "Why are you referring me to this surgeon?” If the answer is “he accepts your insurance,” keep looking, but if the answer is “when my husband needed a surgeon, this is who we chose,” you have a high quality referral. If you aren’t sure about what type of surgeon you need, ask your physician what type of specialist they recommend. Some surgeries, such as an appendectomy, can be performed by a general surgeon, while others require a specialist. Due to the lucrative nature of plastic surgery and cosmetic procedures, there are many cases of fraud with individuals pretending to be plastic surgeons, including actual physicians who were never trained in plastic surgery but offer cosmetic procedures. If you are comfortable talking about the fact that you are planning to have surgery and you know someone who has had a similar surgery, ask them about their surgeon. Would they recommend their surgeon to a friend having the same surgery? Were they pleased with the final outcome of their surgery? Was their surgeon willing to answer their questions? Your friend can tell you if they were adequately prepared for the surgery and if they received the information needed to make an educated decision. Don’t forget to ask how they felt about the facility where the surgery was performed. If they give you a glowing review, you have another surgeon to consider. If you are having surgery for a common condition, there may be a support group in your area or online. This is a great resource for referrals. More than likely you will get a variety of opinions. Don’t ignore the people who were not happy with their surgeon or their outcome. If the patient has a legitimate complaint about their care, take this into account when compiling your list of surgeons. If you need a surgery that is highly specialized, don’t be surprised if the surgeon who is recommended is in another part of the country. If your surgery is uncommon, you may not have the option to remain near your home for treatment unless you live near a major city. Just remember to worry less about bedside manner and more about the final outcome. If you have to choose between a nice surgeon and a highly skilled surgeon, the skilled surgeon is the better bet. Hopefully, you can find someone who is both compassionate and highly skilled. Call or email your insurance company and request a list of the surgeons that accept your insurance locally. These lists are often available online at the insurance company’s website. If your family physician suggests a specialist, be sure to request that list. If you are in an area with a small population, the list of surgeons may be short. If your options are too limited, consider requesting a list for the nearest large city and see if the number of potential surgeons grows. Once you get the list, compare the names you have received from your family doctor, friends, family, and other resources against the insurance company list. If any of the surgeons that were recommended appear on your insurance list, make a note of it. If you are having an elective procedure that insurance does not pay for, such as cosmetic surgery, you may still want to request your insurance company’s list, as it will help you develop a list of surgeons to work from. Each state has a medical board that licenses physicians and participates in disciplinary action for surgeons who have issues with their practice. Take the time to look up recommended surgeons on the website for the state medical board. Do they have a license to practice in the state where you plan to have surgery? If they do not, you can cross the name off of your list of possible surgeons. Is the surgeon "in network" on your insurance plan? If they are not, the amount you will may have to pay out of pocket could be substantially higher. Many states include a record of disciplinary actions along with licensure information. If your state makes this information available, be sure to pay close attention. If your surgeon has had serious problems that required disciplinary action, you can cross that name off of your list. If you are looking for a specialist, contact the American Board of Medical Specialties to confirm that your surgeon is board certified in the specialty. Information is available 24 hours a day at http://www.abms.org or by phone at 1-866-ASK-ABMS (275-2267). Once you have narrowed down your list of potential surgeons, it is time to schedule a consultation. If you have a fairly urgent need for surgery, you may have to cross surgeons off of your list purely because of the wait for a visit. Otherwise, plan to meet with at least two surgeons and discuss your potential surgery. Once you are able to see the surgeon, ask questions. Does the surgeon answer questions in a way that is easy to understand? Do they rush through the consultation, or give you the time you need? Bedside manner isn’t necessarily an indication of surgical skill, but it is an indication of whether or not the surgeon will give you the time and answers you need to feel secure in your choice. When it comes to surgical skill, questions like “how many times have you performed this procedure?” are helpful. A surgeon should have performed your procedure enough to be accomplished and confident in their ability to do it flawlessly. If you are paying for the surgery yourself, find out the physician’s fees. Does the surgeon provide a clear idea of the fees or do they have a general idea that may or may not be accurate? The price of your surgery, including operating room costs, lab work, anesthesia, and all other fees should be clear. You may be expected to schedule a surgery at the end of the consultation. If you are not confident that you have found your ideal surgeon, do not schedule the surgery. Either way, ask for a day to consider everything the doctor has said before making the surgery official. If the surgeon you consulted with is not your ideal surgeon, schedule a consultation with a different surgeon. Even if you think the first surgeon is your best choice, a second opinion from another surgeon can be valuable. Most types of insurance will allow for two or three consultations. If you believe you have found your ideal surgeon you can schedule your surgery, confident in your decision. A great surgeon has performed the surgery you need many times, and continues to do so on a regularly basis. In a nutshell, you are looking for the surgeon who has performed the procedure so many times that they are extremely comfortable with it, and the staff that surrounds them is also confident in their ability to take care of patients before, during and after the surgery. A great surgeon is also free of litigation, has no disciplinary problems with the medical board, and is board certified in the specialty that you require. 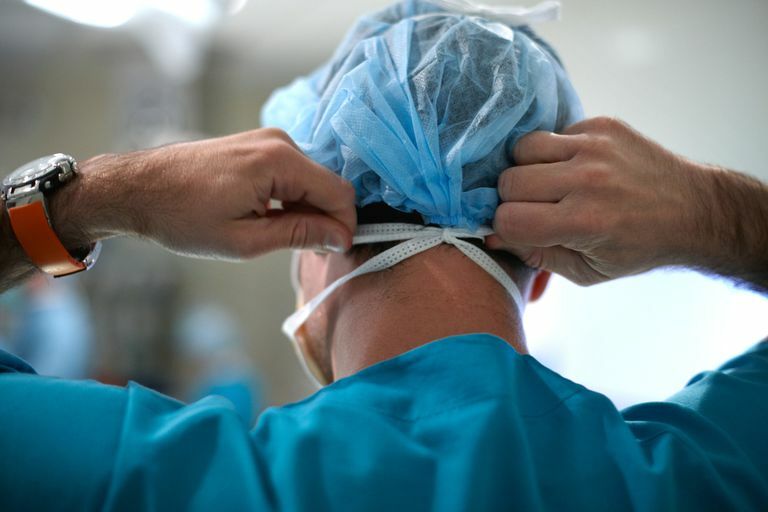 How Many Surgeries Should Your Surgeon Have Done Before Yours?